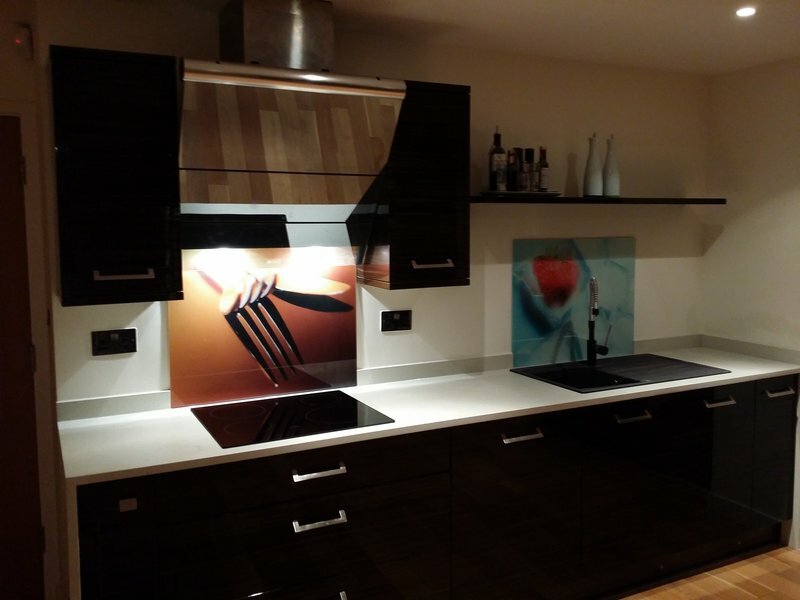 Since 2001 we have been designing and crafting high quality house renovations in London and the South East.. 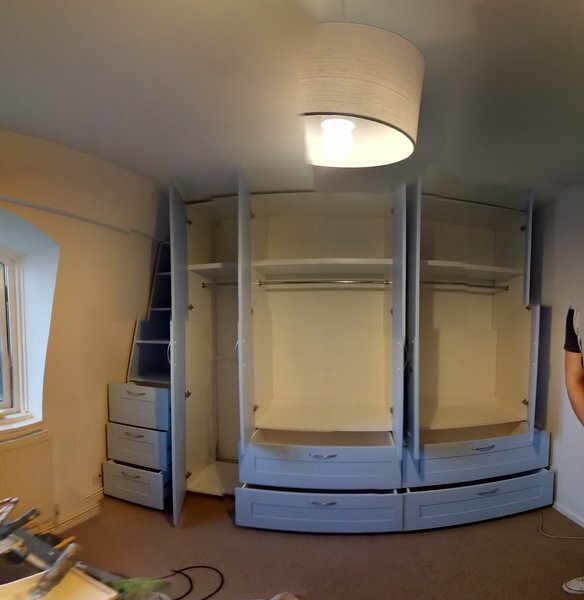 I do full renovations, I have included painting and plastering as a service to show my skills but, unfortunately I will not always be able to take on work purely for these services. I'm sorry for any inconvenience. Please contact us for advice and a free quotation. 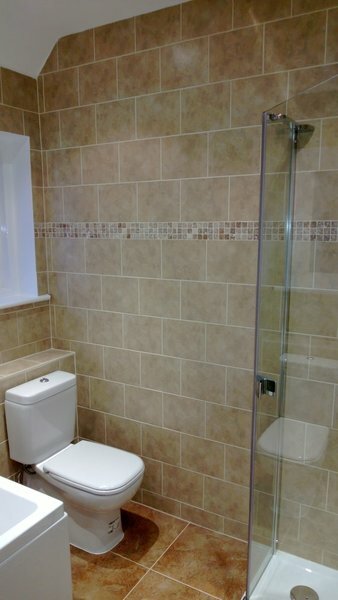 Roman and his assistant carried out a complete refurbishment of our small bathroom. Good communication, great quality of work and all done within the agreed time scale. The toilet was left functional and our flat tidy throughout the duration of the work. Highly recommendable. I have no hesitation in recommending Roman on the basis of his work for us. 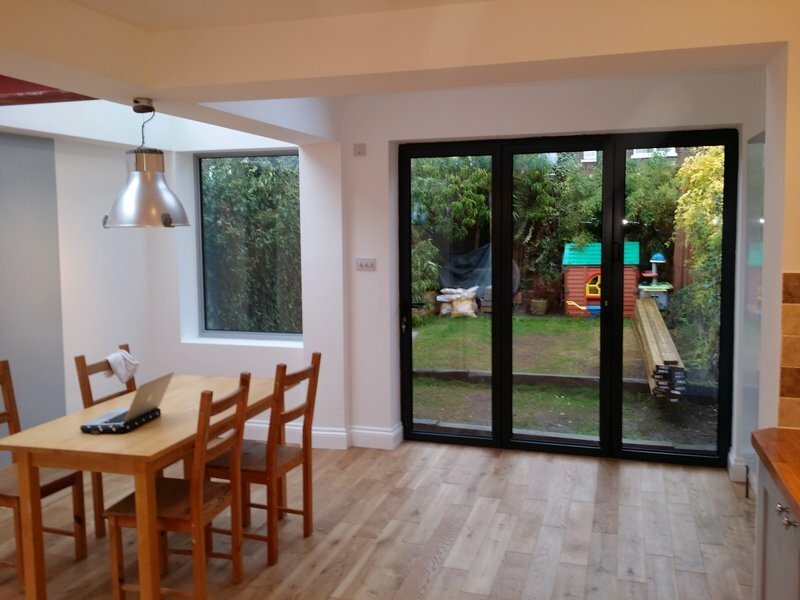 This was a relatively complex job including working with specialist contractors for structural glass installation and damp-proof membranes as well as gas, electricity, and kitchen units. Roman is a skilled and hard worker who sets his own high standards for the quality of his work. I would also trust his honesty in delivering what he promises. He worked with us flexibly to deliver the project as quickly as possible despite delays with suppliers and other problems not of his making. Best of all he (and his assistant Makari) are considerate and good people to have in your house. They went out of their way to make the trauma of having your house turned upside down as painless as possible! While paperwork is not Roman's strong point his grasp of modern building techniques and their practical application as well as his creative suggestions helped us to achieve a result we are truly delighted by. Roman has done some plastering for us and the work is always to an excellent standard. He is extremely reliable, very polite, and most importantly the work is always done perfectly. He is also very clean, and doesn’t leave any mess behind. Comes highly recommended. This was about the fourth time we have used JR Renovations for decorating and related work. 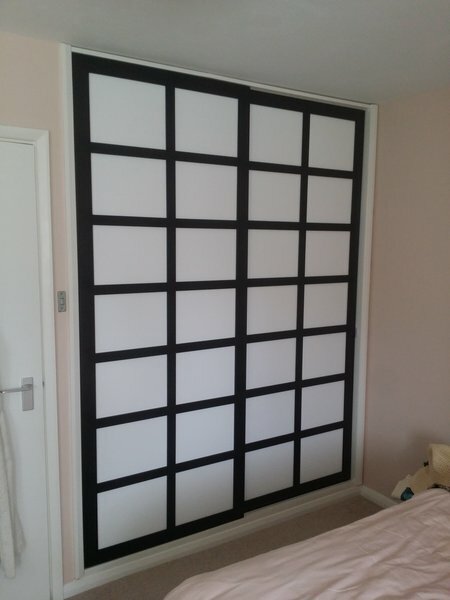 They have done internal and external painting, wall-papering, hanging and re-hanging doors, and other joinery. Roman, who owns the business, is expert, highly trustworthy and comes up with solutions when we are not sure how to solve a problem of decoration or maintenance. The people he employs are conscientious and hard-working. We think JR Renovations give very good value for money and it is a pleasure to deal with Roman. We recommend him to others. 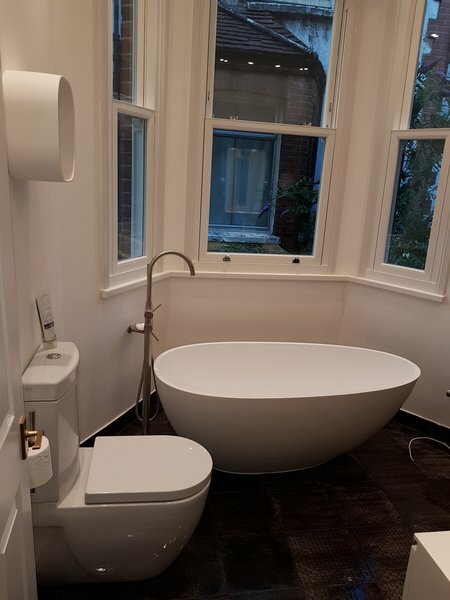 We first engaged JR Renovations in 2007, and since then have had extensive work carried out ranging from decoration, plasterwork, restoration of period features, carpentry, plumbing and tiling to large scale structural extension, chimney breast removal and fitting of a kitchen. Without exception, every job undertaken has been completed to an exceptional standard. They are trustworthy and conscientious, leaving the property clean and tidy at the end of each day, even in the middle of a job. When problems arise, they are solved ingeniously and without drama. I can highly recommend this company. Roman and his assistant carried out some fairly extensive work in my front room and front hall. This included pulling up the original floorboards, restoring the subfloor and joists as necessary, fitting underfloor insulation, and re-laying the original boards. 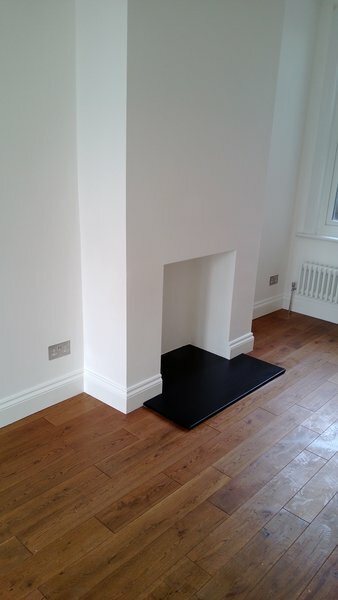 They also removed an old gas fire and hearth, replacing it with a restored period fireplace, mantel and hearth. They removed the dado rail and replastered, removed the old skirting boards and fitted new ones, and completely restored the understairs cupboard in the front hall. Finally, they cleaned and scrubbed the original floorboards - which were covered in plaster and years of dust and dirt - to reveal a beautiful patina. Roman and his assistant took the utmost care with my property and left the work area neat and tidy every night. He understood exactly the look that I was going for - I really felt that I was working with a craftsman rather than a builder. Roman also repaired a vintage chair for me! I was delighted with the way the room turned out and wouldn't hesitate to get Roman in again. 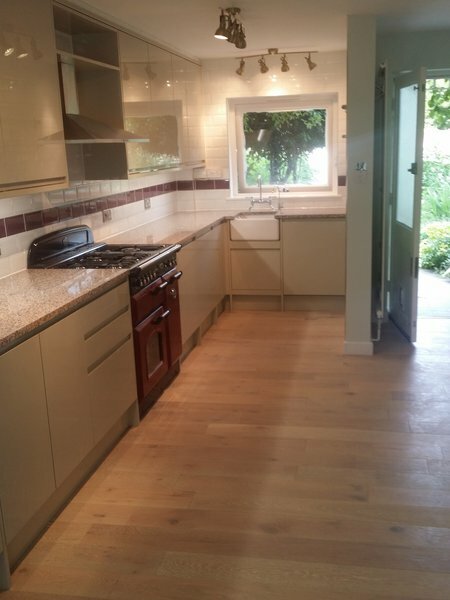 I have had two houses totally gutted and renovated since I moved to London 12 years ago. 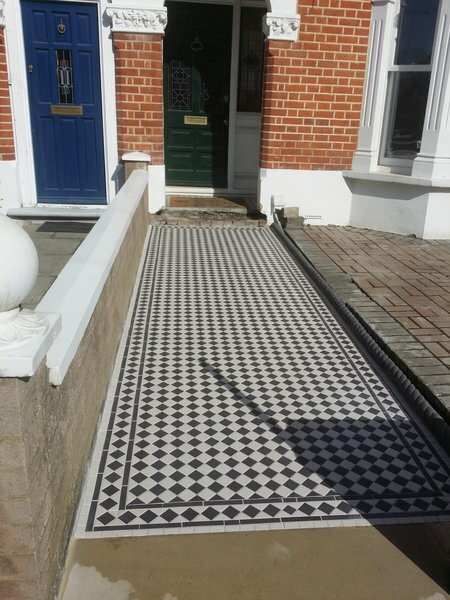 The first was a large 5-bedroomed Victorian house which Roman completely restored to its original glory, including beautiful tessellated tiles on the very large kitchen floor, and the replacement of plaster mouldings on the hallway ceiling and the ceilings of all reception rooms. Ten years later when I moved to a modern house (70s build) Roman one again gutted the property from the loft downwards completely transforming the house. This involved boarding the loft and fitting lighting, plastering and decorating five bedrooms and fitting Art Deco lighting, two bathrooms (al plumbing), and creating a very large loft-type family room on the ground floor with tastefully designed fitted kitchen with all appliances, dining area, and glassed conservatory leading into the garden. The most recent work Roman did was to replace fencing to our front 'cottage-type' garden and provide a gate - all custom-made by Roman. It is important to say that as general maintenance work has been needed we have always called on him. Essentially a job is worth doing to him irrespective of whether it is the renovation of an entire property over a number of months, or a small job lasting a couple of days. Roman and his team are always clean and courteous. At the end of every day they put the vacuum on and ensure the house is back to a liveable space overnight. Very few builders do that. I can't recommend him enough. We are very happy to recommend JR Renovations and would not hesitate to use them again. Roman and his team member Makary did exactly as promised, and more, in replacing a fence that proved a more difficult job than anticipated. They were hard working, professional and a pleasure to employ. Roman and his team refurbished our old terraced house. The work went smoothly and quickly. We didn't need to worry about anything and we were well informed about each stage of the building works. Overall, very good work ethic and always positive, we would definitely recommend Roman.